So, “Whey de lime” Fridays is coming a little early! So this is the lime before de lime!! 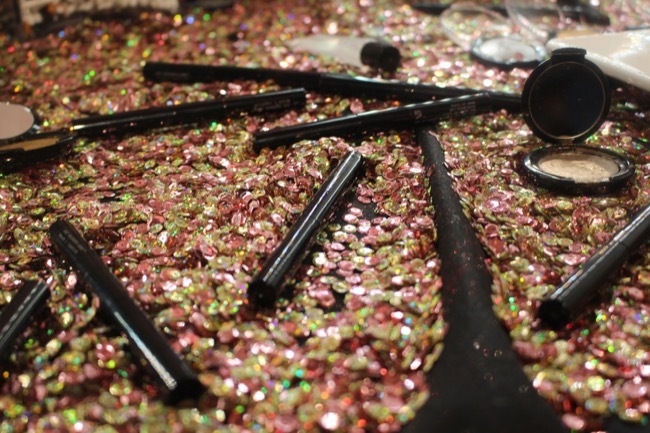 As I have professed many times here on the blog in the past, The Makeup Show NYC is one of my must go-to makeup event. And it is coming up this weekend. I wanted to post this a little earlier so that if you all wanted buy tickets to the event, you would still have time. So The Makeup Show NYC 2018 promises to be the biggest yet and there are some very interesting keynote speakers and brands that will be making their debut at TMS. I am excited to hear from Bobbi Brown, who is an icon in the makeup artistry industry and she recently made a transition to a new career. Of course favouites Kevin James Bennett, James Vincent and Danessa Myricks will be teaching as well. Brands often use this opportunity to get their newest launches in front of the eyes of makeup professionals. So the new Smashbox x Vlada Petal Metal collection, Inglot x J.Lo collection, blackUp x Jennie Jenkins Highlighter are all expected to be available. And Pat McGrath LABS and Marc Jacobs Beauty are going to be there as well!!!!!!! The education is what I really look forward to. As I have gotten older, I appreciate the lessons learned and the inspiration obtained from so many artists. I love hearing their stories. So if you want a glimpse at what to expect at TMS NYC, check out my posts from previous years here and here. If you are a makeup pro, fashion or beauty professional or a current makeup student, you can still register for the event here until Friday 4th May. More information on the show and a list of exhibitors, check here. Shout me out if you run into me! Maybelline The Burgundy Bar Review: The hottest drugstore palette is here!